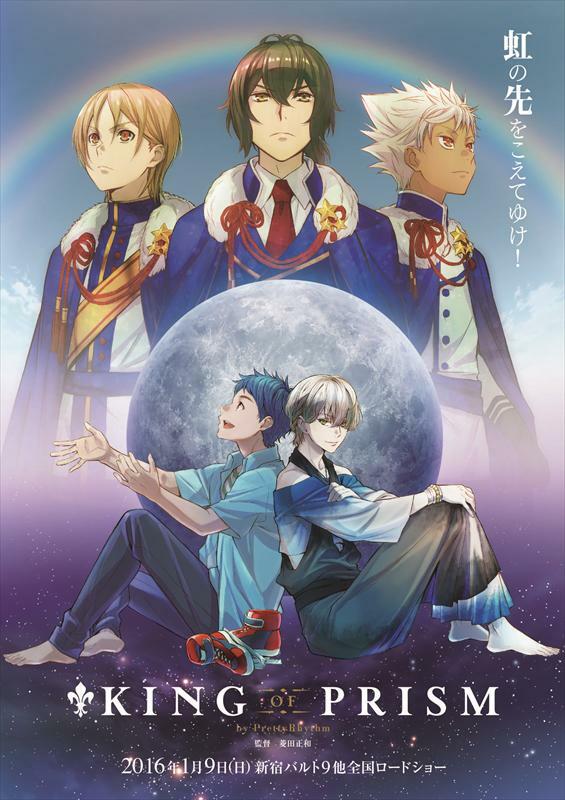 Note; this obviously has spoilers for Rainbow Live and the first movie. PV2 bringing some new things to the table of speculation. Most of it only confirms things we were already expecting, there’s no big surprise except that Shin Louis possible kiss scene, and how Jin may force Kouji to write a song for Schwarz Rose in some way. Besides that, the PV doesn’t really have anything surprising and it’s pretty much what I expected or already known. I’m hyped, but I was already hyped in the first place. Also, it’s possible the lines heard and the scenes shown don’t match. These girls are at the very front of the stage and have some nametags so they’re part of the special fanclub of whoever is performing. It seems they are cameos of people linked to Pretty Rhythm in some way. At least the one at the far left is. The girl at the far left is Gojou Sakura. Or rather what she “officially” looks like. Gojou Sakura is the alias Pretty Rhythm/Kinpri director Hishida Masakazu uses when directing Fairilu. 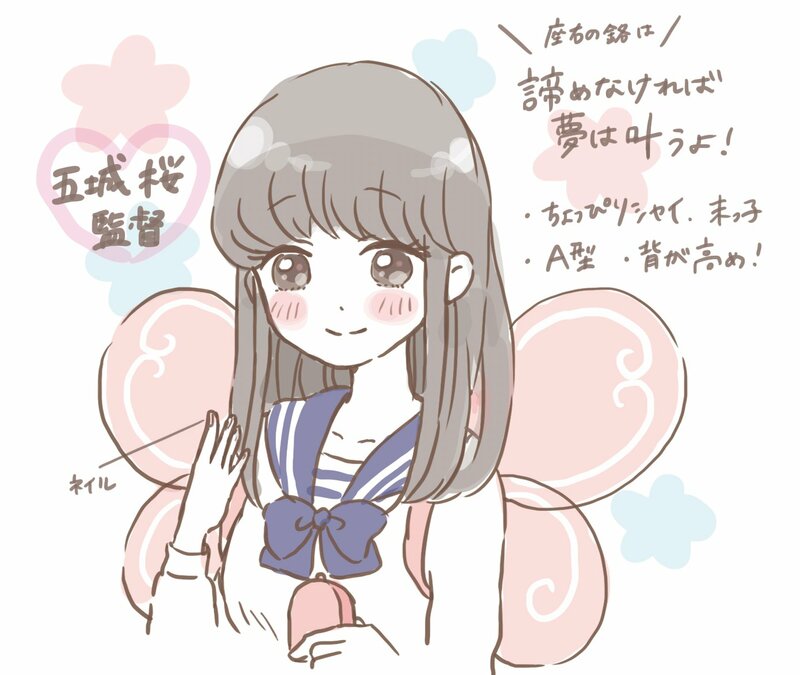 Right pic is Gojou Sakura’s “official photo” which was once posted by the Fairilu Twitter. I need to search on twitter to see if the others girls are cameos as well. 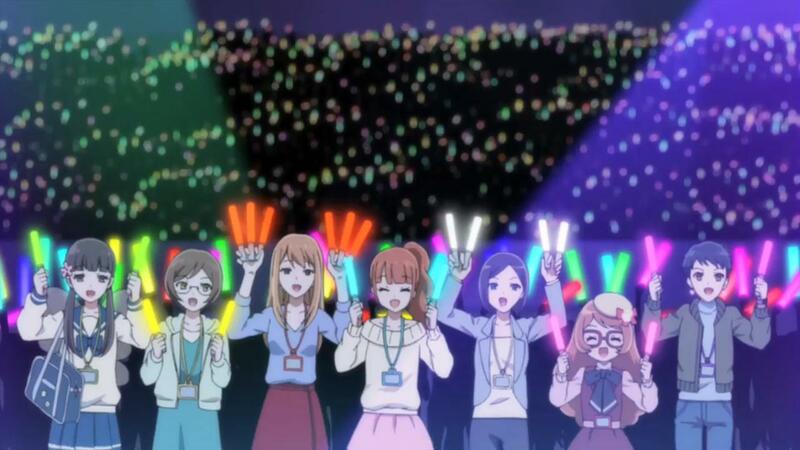 Pretty Rhythm fans on twitter probably posted about who the others are. It’s Jin and Louis at the top. (or maybe Juné?) You can see judges below them so this is a tournament. So this is either the Prism King Cup or one of the qualification tournaments for it. I think they let Jin there since he’s the current Prism King. It’s also possible he will bribe or sponsor or even buy the tournaments. Seeing how far they’re willing to make Jin go and criticize IRL showbizz/idol industry at the same time I expect him to actually do it. 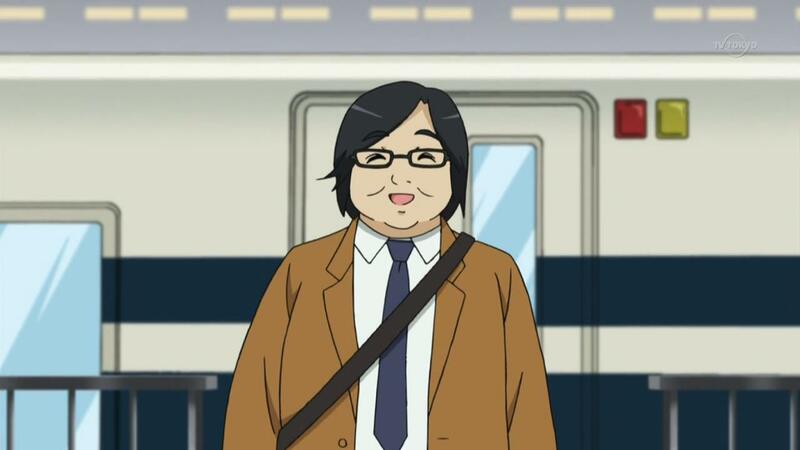 Remember all his very IRL echoing lines in Kinpri 1, like “everything’s a copy of everything anyway”. Shin Louis duo/duel show is something everyone expected to happen. However it actually won’t be at the Prism King Cup. They’re at Tama River, the same place they first met in Kinpri1. Back in November 2016, there was a press release showing that white rose rink stage saying it’s at Tama river, along with a pic of Shin wearing that same winter coat. 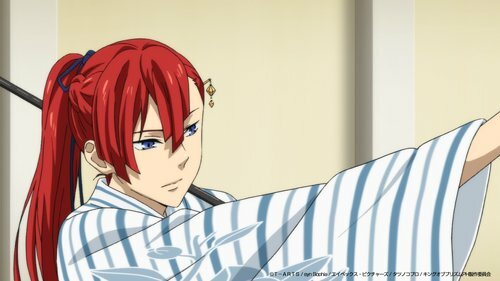 (they also showed Alexander and his room). This means that just as Louis says “hey let’s do a Prism Show together right now” they just randomly meet at that place and decide to do one. That’s also why they’re wearing everyday clothes instead of coords. This means there might be another Shin Louis Duo/Vs later at the Prism King Cup. I’m pretty sure just like Juné based her appearance on Maria, Louis’s appearance is based on Jin. I don’t think Louis=Shin, despite them being born on the same day. Everything points out to it, but I think it’s fake hints as I don’t think they’ll do the same twist twice. The key to what their relation is will be the identity of the pendant person. 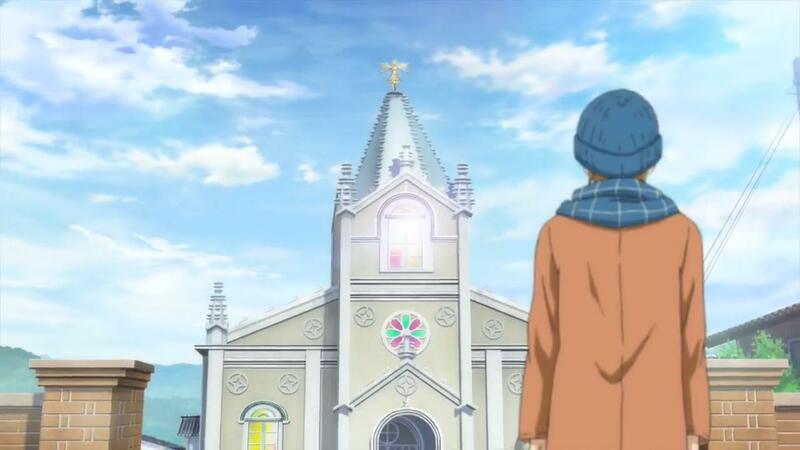 In Kinpri 1, Louis refers to the pendant as a male person. 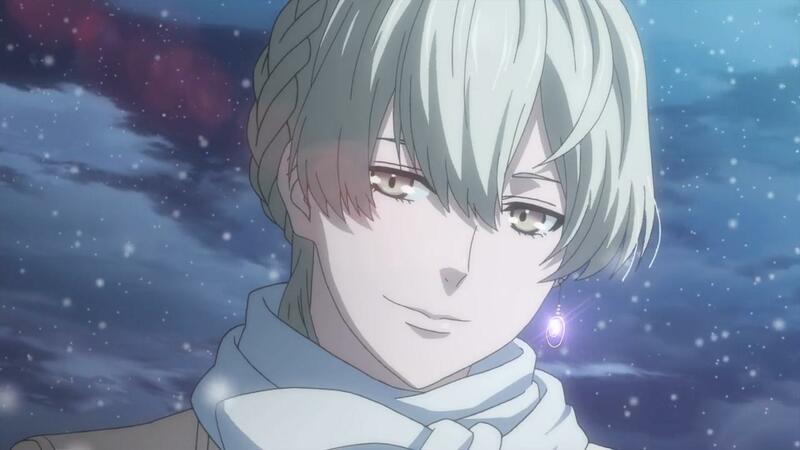 Maybe it’s Shin from the future who died and turned into a pendant cuz prism magic. 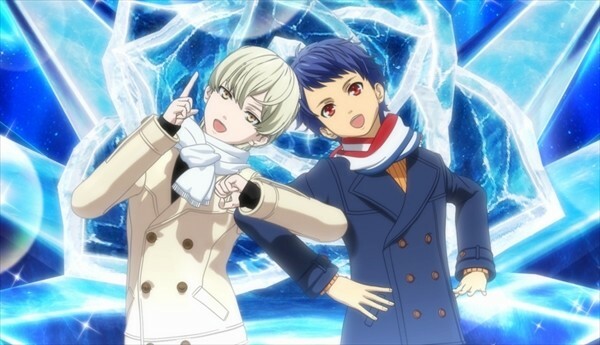 Hijiri wants to help Jin saying”I want my brother to remember the prism sparkle”. 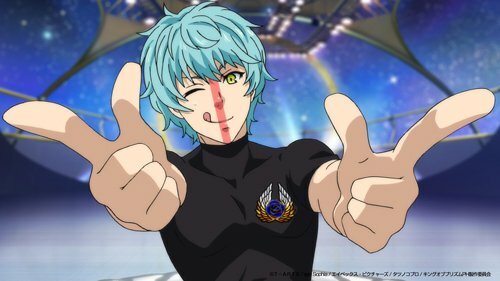 As I said since kinpri1, Kinpri2 will end with Jin becoming good again, thanks to Shin’s power which is making people remember their love for Prism Shows. 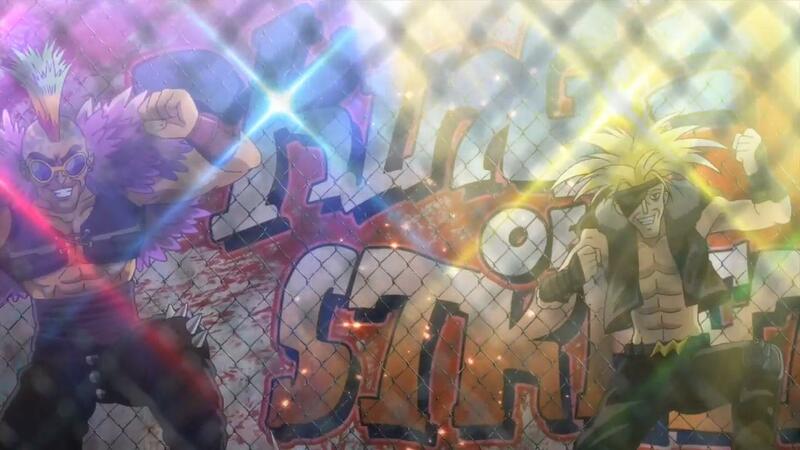 I think Louis is a Prism Messenger sent to help Jin become good again, and Shin’s power is the key to that, hence why Louis made Shin get into Prism Shows. The end scene wil probably be Juné and Hijiri’s wedding or something, with Jin being the representant of Hijiri’s family. Hijiri doing Starlight Express. This is a flashback, unless they find a magical way to heal Hijiri’s leg and we actually get Jin Vs Hijiri. Kazuki says he’ll let Taiga be the street style representative of Edel Rose. He’s saying this as he’s leaving Edel Rose as shown at the end of Kinpri 1. This doesn’t means Kazuki won’t participate in the Prism King cup though. Unless his rematch against Alexander happens during the qualifications and he ends up loosing. This is really exciting how it’ll turn out. 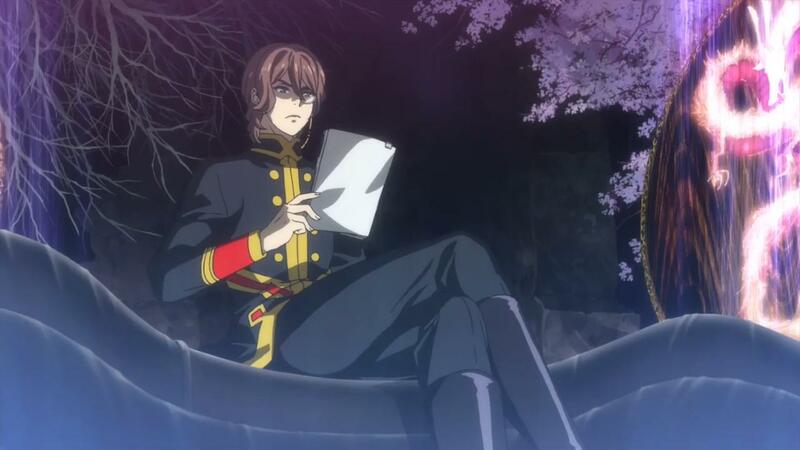 Hiro must be thinking of Kouji. I still cling to my theory that Hiro is going to perform using Happy Naru as the only Kouji song he has access to. I think It’s Yu speaking:”Kouji would never accept writing a song for Schwarz Rose!”. 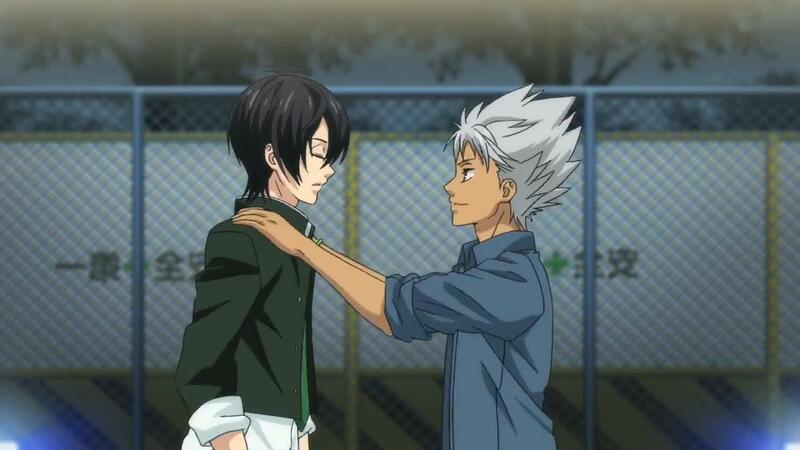 Seems Jin will somehow make Kouji work for him? Maybe how he gots the rights for Pride too. I guess we finally know why Jin is lending money to Hijiri. (that’s what the paper Jin is throwin says) Hijiri or Kouji sold Pride rights to Jin in exchange of the money. Or it may be completely unrelated. Are these guys Street Style Prism Stars too? Gonna be awesome. Shin saying he can’t do Prism Jumps anymore. I think it’s because he’ll have conflicted feelings. They already shown multiple times through the series this can happen, like Rizumu being unable to do Prism Jumps at the very beginning of AD while Aira could. I don’t think it’s a case of Prism Sparkle disappearing, I don’t think they’ll rehash plot points. Though this could actually happen, as the main cause was Jin, and Jin is still evil. As I said, it’s possible the lines heard and the scenes shown don’t match. I learned that well with Persona 5’s PVs. “Get back up!! Hiiirooo!” definitely isn’t what Kouji is actually screaming there, as the lip synch doesn’t match. Judging from this line, and how Kouji may go work for Schwarz Rose, and how Kouji is wearing the HiroxKouji coord and is seen fighting someone both here and in PV1, this points more and more to a Hiro Vs Kouji. 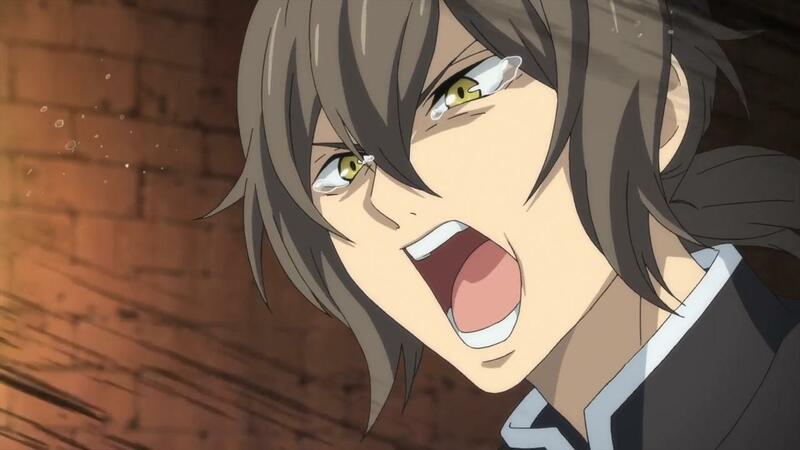 I already said so before when pv1 had Kouji saying “The way you are right now, you don’t deserve to sing Pride!” to Hiro, seems to be happening. 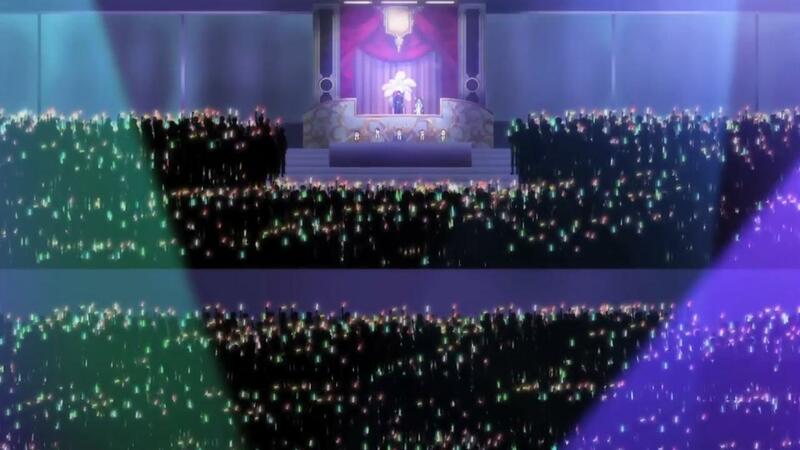 I hope Kouji will do other jumps than Ito/Mion’s jumps. 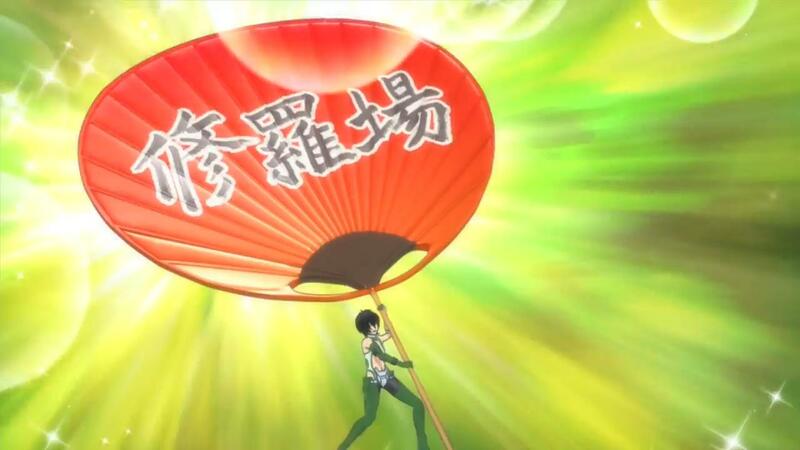 I’m also really looking forward to Yu’s Jewel Spin Zeus. 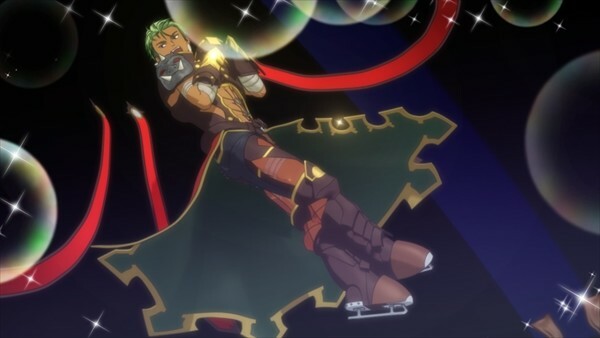 Maybe he’ll do his own version of Moeru Grand Cross Spin too. 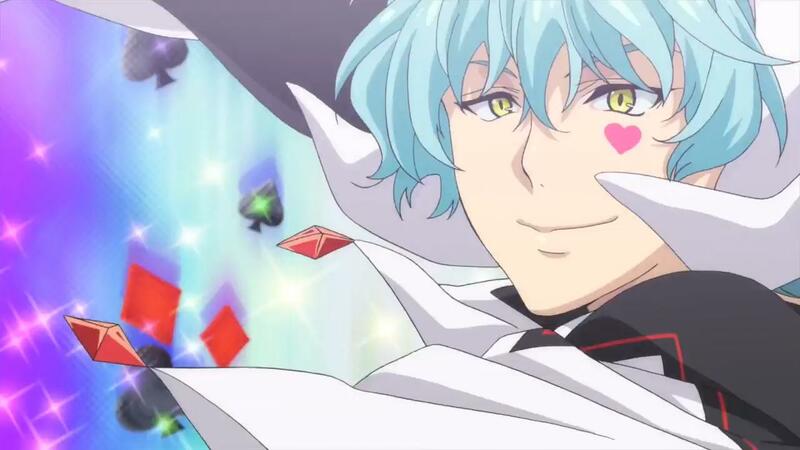 Louis confesses his love to Shin and seems during their duel, he’ll capture Shin and kiss him. With Louis’ line “I traveled thousands of year to meet you, don’t you remember?”, maybe Louis was Shin’s lover in the past/future/alternate universe and why he wanted to meet him. Maybe the reincarnation of his past lover. They already said reincarnation can happens between universes like Yamada being reincarnated as Tanaka in RL so it’s possible. If this turns out correct, I wonder if one of them used to be female before or if they were gay as well back then. Still doesn’t explain who the pendant boy is too. Like I already said once, I’m not a supporter of homosexuality, but it’s not my place to judge people or decide for them what they should do or not. I do think fighting against homophobia is obviously important, It’s not like I’m homophobe either and don’t mind having an actual homosexual relationship happen there. If after seeing the movie I end up criticizing Shin and Louis’s relationship, it’ll be if it turns out to be badly written and only there to please fujoshis, not because it’s an homosexual relationship. 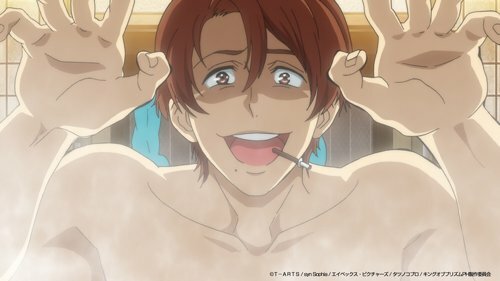 But I know Pretty Rhythm director won’t do this kinda of thing and I believe in his writing skills. I’m saying all this because I wonder if some people will actually protest about it. Like a PTA going “it’s scandalous a show that used to be for little girls turned into promotion for homosexuality” or whatever complains that could arise. Though I guess these people already left logn ago ever since the naked tickets happened. 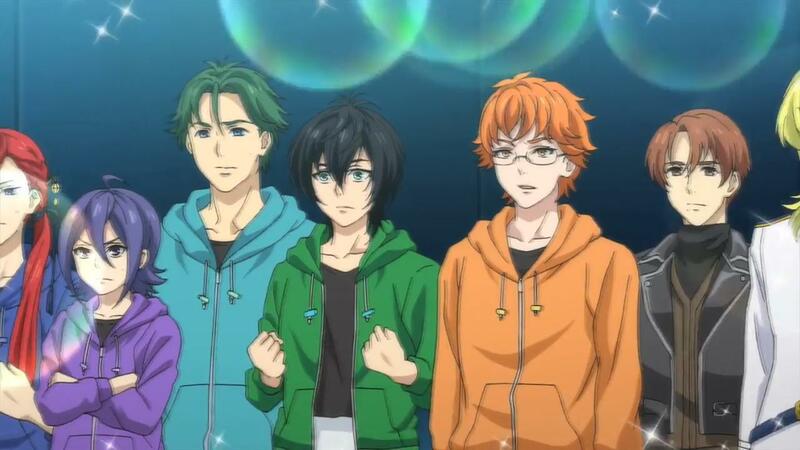 And like I already said when Kinpri1 was announced, Pretty Rhythm always had fujoshi pandering and gay undertones anyway, between Shou and Yun Su, Itsuki and Yon Fa, etc. This rink stage has huge dragons and representations Fuujin and Raijin, the gods of thunder and clouds in japanese mythology. 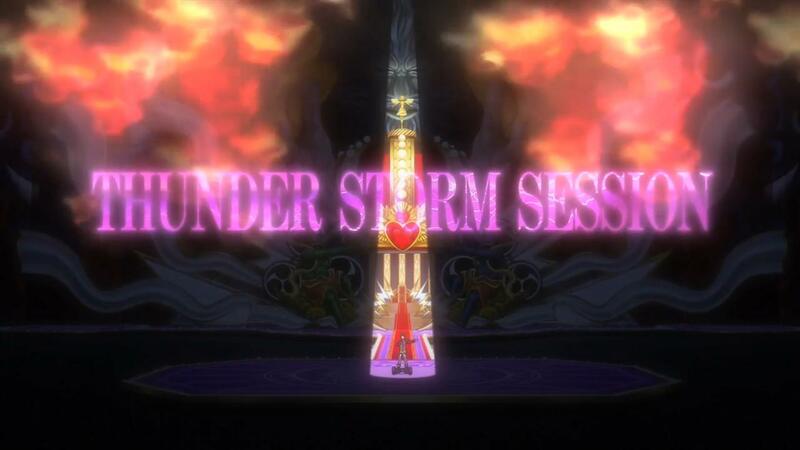 Pretty sure this Thunder Storm Session is a qualification tournament for the Prism King Cup, like the Power Hall Session they show during the flashback in RL 44. 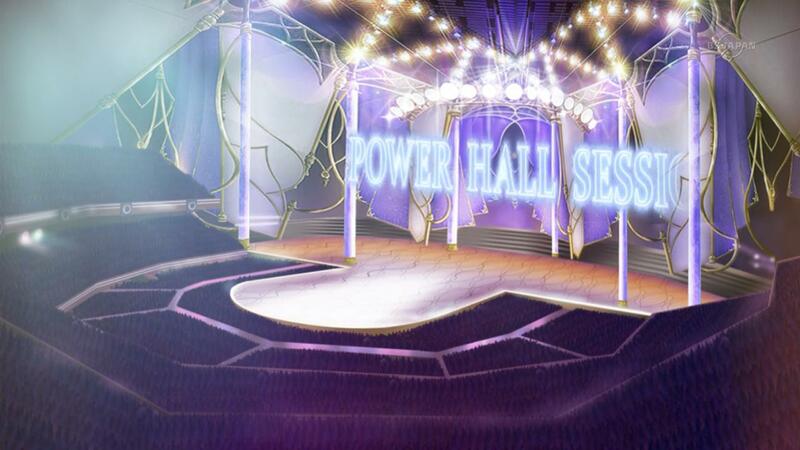 Seeing the stage’s theme though, maybe it’s a qualification tournaments specifically for Street Style Prism Stars. When they show the stage right after at 00:50, the voice that speaks saying “the strongest will compete to become king” sounds a lot like Chiba Susumu/Jun. I really hope I’m not imagining it and there’s a notJun in Rainbow Live-Kinpri universe that they will introduce. Gonna be absolutely awesome Jun is back. Seeing what Sugita said(see below later) about the movie having tons of things from the previous series, I really REALLY hope it’s the case. 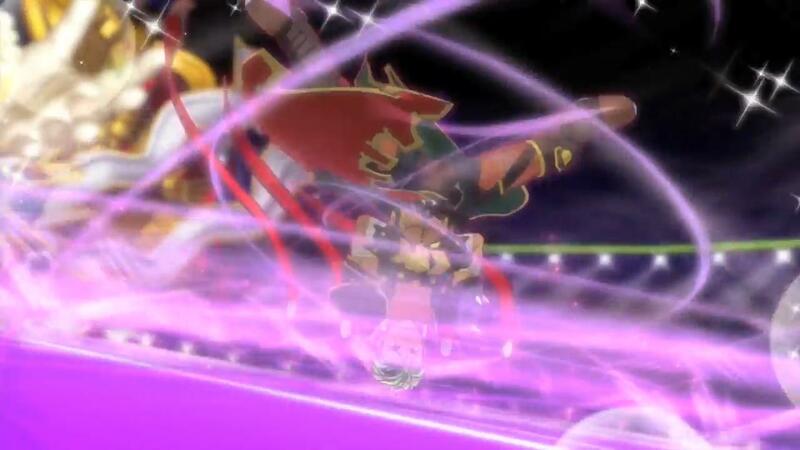 The same dragon background can be seen during Alec’s Headspin Levitation. Assuming Alec is figthing Kazuki, this means their rematch happens at the qualifications, not the actual Prism King Cup. 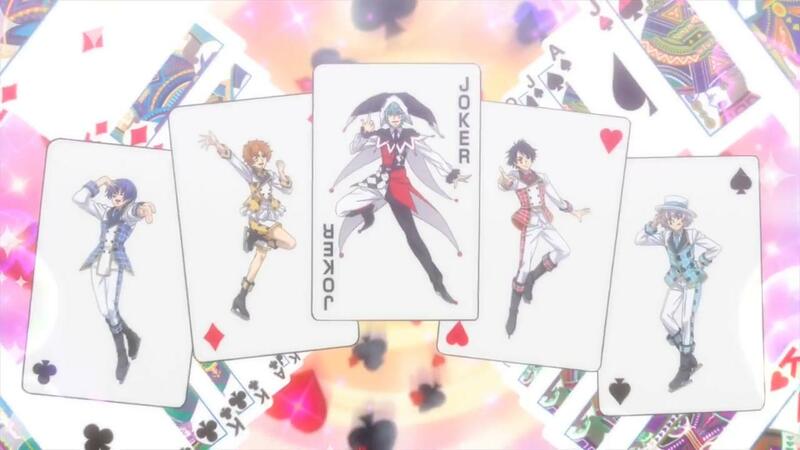 Maybe Kazuki really will loose and Taiga will beat Alec at the Prism King Cup? Sugita/Takadanobaba George and his team The Shuffle(aka notCallings boys). Well at least I think that’s him, the design art they showed for George isn’t colored but this looks like him. The hairstyle seems to match. 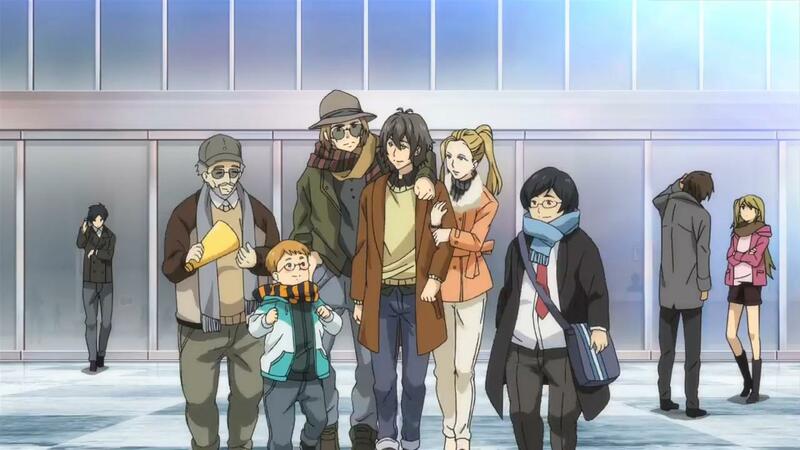 The fifth guy at the far right wasn’t in Kinpri 1. 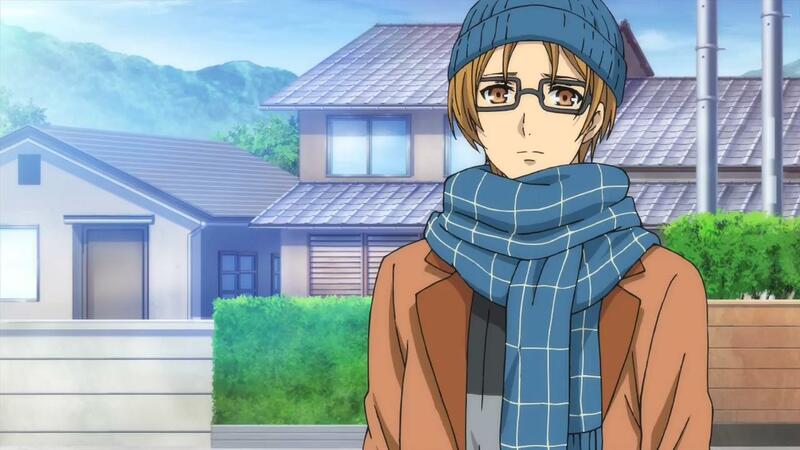 He seems to be the same guy Jin threw out from the trap door in Kinpri 1. I don’t think Jin would pick back someone he threw away though so probably someone else. In the many Kinpri events etc I translated last year, they hinted Yamada Ryou will do a Prism Show in Kinpri 2 so it’s not a coincidence he’s in this shot. Taiga screaming “I’m your opponent! 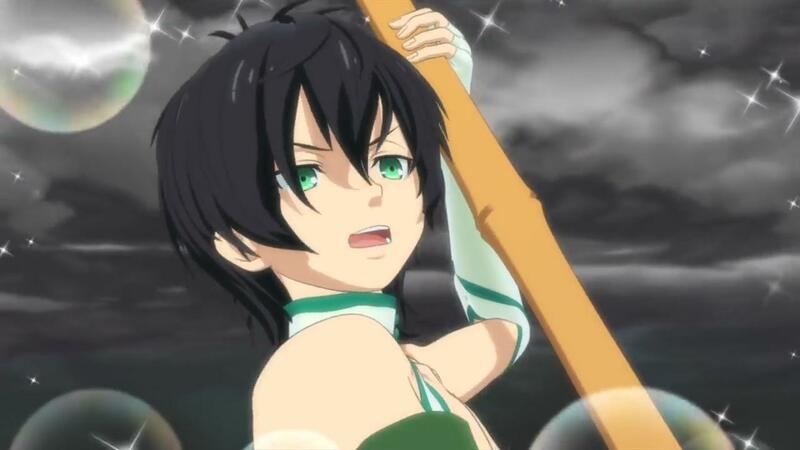 !” to someone, probably Alec, seems to point more and more he’ll be the one to defeat him instead of Kazuki. They said beforehand Taiga will get a moment to shine as he’s the one who won the fan election last year. 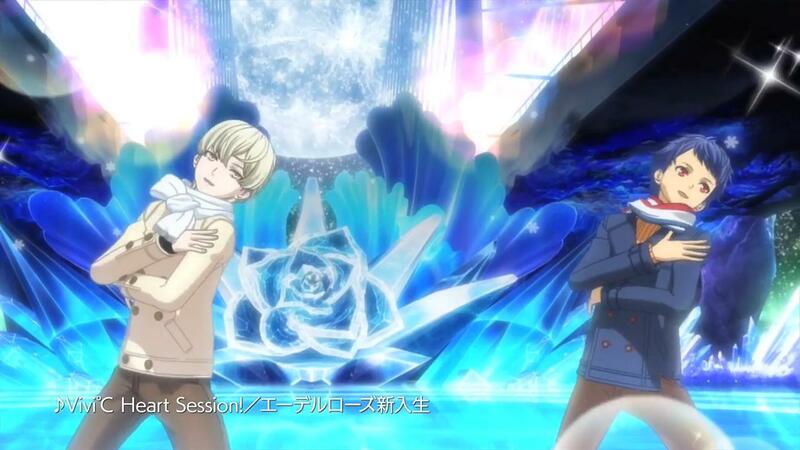 That’s also why they show him the most among the new Edel Rose boys in this PV. They already confirmed he’ll participate in the Prism King Cup too, meaning he’ll be among the finalists in the qualifications. 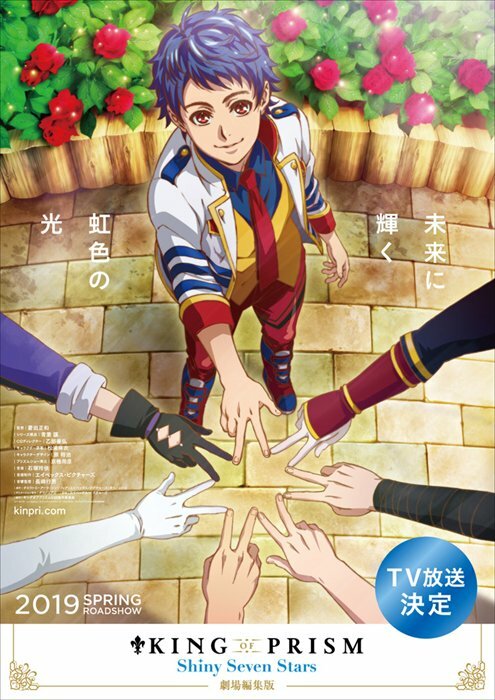 Kakeru is also confirmed to have a Prism Show. Director hinted the movie is more than twice big Kinpri 1, so this would mean around 2hours, so I think they can cram in all that. The 26th April they’ll actually start selling this fan. At the end, Hijiri says “The Prism goddess has blessed a new King!”, he’ll probably say that line at the end of the Prism King Cup when either Shin, Hiro or Leo wins? Pretty sure it’ll be either one of them. Shin and Hiro are obvious choices, Leo it’s because they hinted a lot that he’s actually a super strong Prism Star. I’m betting on him. He’ll probably fight George. I hope I’ll be able to do publish a big news post soon. I also need to check japanese fans’s reactions on twitter to see if I missed anything about this PV. Afaik the others never used alter egos too. and there’s nothing hinting on their identities so I don’t think that’s right. I think they’re all really random people they drew besides Director. That person on twitter above are the only person I saw mentioning this, everyone else talks about how there’s director/Gojou Sakura but think the others are just random people. 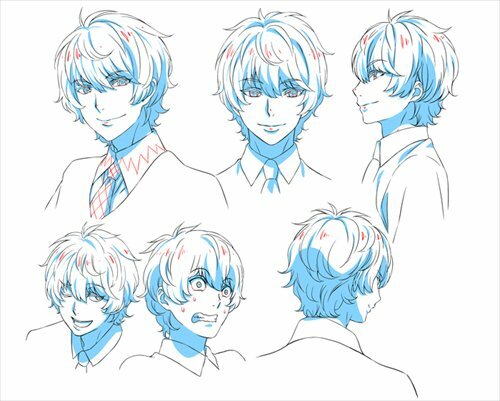 Didn’t notice before: the news articles reporting the PV say it shows a character called Sanada, who’s a director/manager/someone important at Juuouin Holdings(Kakeru’s family company). 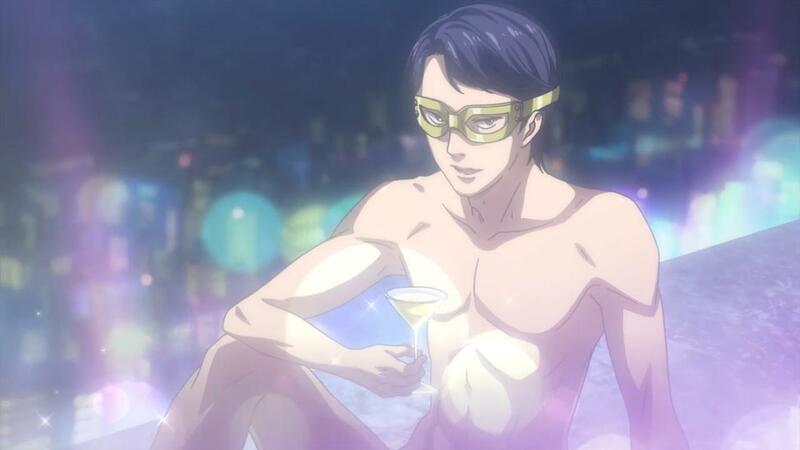 The only character shown in the PV we don’t know is the masked man in Jin’s jaccuzi, so I guess that’s him. There’s also these screenshots on news sites. 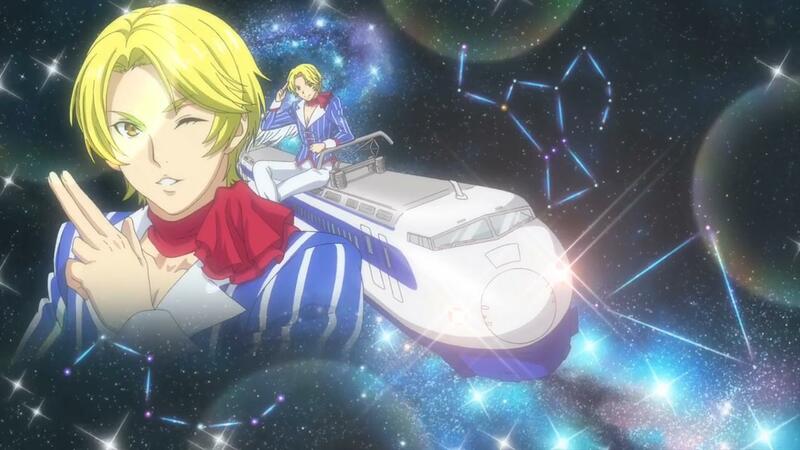 Fans on Twitter realized Kouji’s Prism Show they show in PV2 for some reason will take place in space, and they’re reusing the spaceport background that was used during Celepara Kagekidan Sophie Star Wars part. 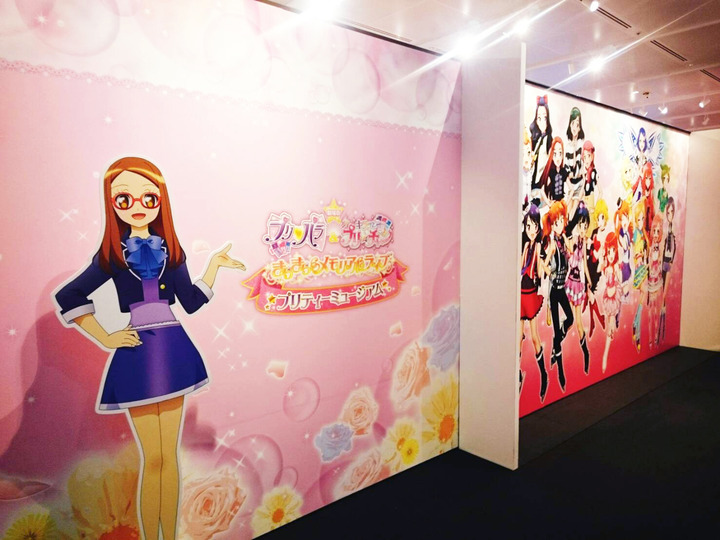 It’s not the first time they reuse assets like that, PriPara reused tons of CG things from Pretty Rhythm. The building with the pink lights is the same, and the ground is the same as well. If Kouji really is fighting Hiro like I think he does, this means Hiro and Kouji at some point move to space during their fight, and they decided to reuse that background to avoid making a new one. The scene where the show Kouji screaming, which probably happens before or after the fight, it seems to take place in the Edel Rose underground training rink, so I guess they move to space after doing a jump and actually stay there? Anyway, it’s really impressive these two persons noticed it, I didn’t notice at all. 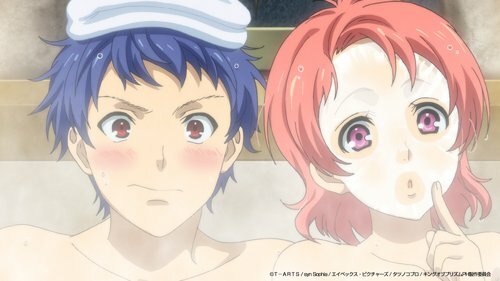 This entry was posted in Opinions on..., Pretty Rhythm and tagged King Of Prism, King of Prism Pride the Hero, Pretty Rhythm on April 21, 2017 by rockmanshii.